Union Cabinet chaired by has approved a Rs 8,500 crore bailout package for the sugar industry. Out of the total amount Rs 4,500 crore soft loan will be used for building ethanol production capacity and creating a 3 million tonne stockpile to soak up excess supply. The government has taken the decision to tackle the problem of liquidity of sugar mills stressed by the accumulation of huge cane price arrears of farmers. Creation of buffer stock of 30 LMT of sugar for one year and to incur an estimated expenditure of Rs.1175 crore for this purpose. The reimbursement under the scheme would be made on a quarterly basis which would be directly credited into farmers’ account on behalf of mills against their cane price dues. Fixation of the minimum selling price of white sugar would be based on Fair Remunerative Price (FRP) of cane and minimum conversion cost of white/refined sugar. The minimum selling price of white/refined sugar shall be initially fixed at Rs.29/kg which can be revised by DFPD subsequently based on the revision of FRP etc. (i) The custom duty on import of sugar is increased from 50% to 100% to check any import to the country. (ii) Stock holding limits on producers of sugar for the months of February and March, 2018 were imposed to stabilise the domestic sugar price. (iii) Custom duty on export of sugar has been withdrawn to encourage sugar industry to start exploring the possibility of export of sugar. (iv) Mill-wise Minimum Indicative Export Quotas (MIEQ) of 20 LMT of sugar was allocated for export during Sugar Season 2017-18. (v) Duty Free Import Authorization (DFIA) Scheme was reintroduced in respect of sugar to facilitate and incentivize export of surplus sugar by sugar mills. (vi) Financial assistance to sugar mills @ Rs.5.50/qtl of cane crushed was given during 2017-18 Sugar Season to offset the cost of cane. 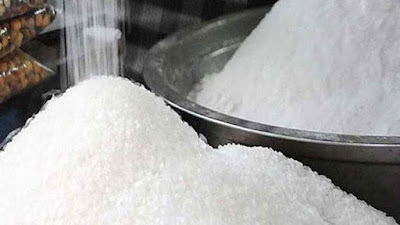 In order to stabilize sugar production at a reasonable level with a view to improve the liquidity position of the mills thereby enabling them to clear the cane price arrears of farmers, which of the following steps is incorrectly mentioned about the measures n taken by Central Government of India? (iii) Financial assistance to sugar mills @ Rs.6.50/qtl of cane crushed was given during 2017-18 Sugar Season.